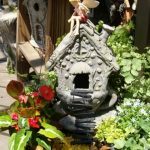 Fairy gardens have been all the rage, and the little furniture and houses that go into them, but the idea predates all this fancy paraphernalia and you can make yours from scavenged materials. It can be no less charming than those you order ready made, and perhaps even more so. 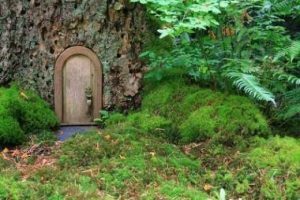 I think we ought to hark back to the place where the imagination rules and nature provides all the things we need to create a cute little fairy house. 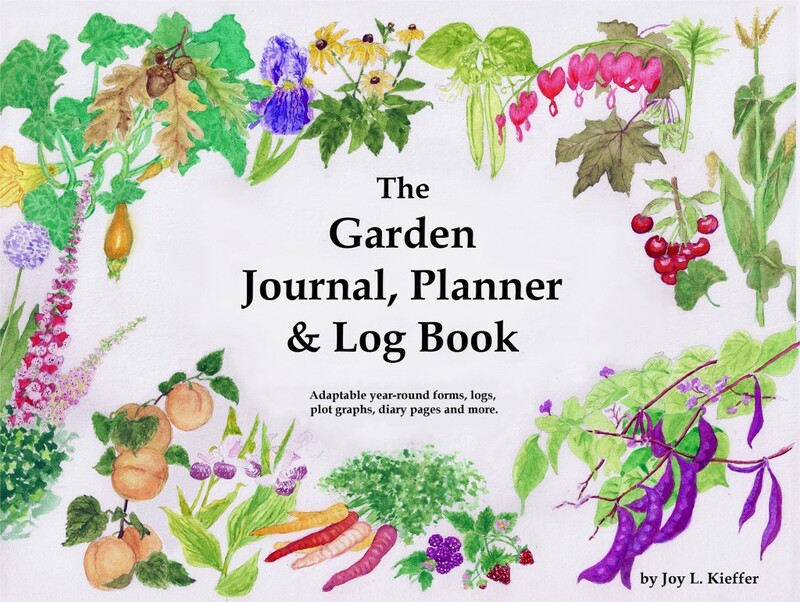 I think this idea is so much fun that I am going to make my own creation for my granddaughter and I know I will have more ideas than I can use. That is why this lens will be so special- it will serve as my idea board and record my progress. 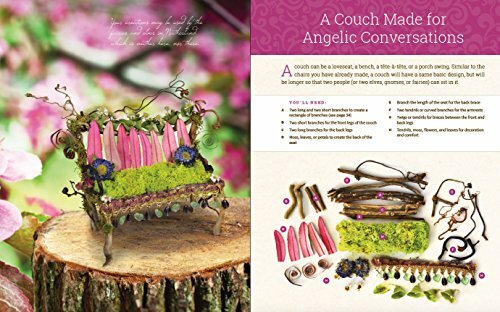 You can follow along, or use the ideas to make your own Fairy House creation. If you like, you can always spend a little money on special elements, but the point is that you don’t have to, unless you wish. Fairy Houses are just as nicely made with just the building elements you find while on your walks in the public parks or even in your yard. 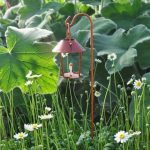 This post has a starter list for materials, ideas for planning the project, sources for more inspiration and creating either an indoor or outdoor fairy dwelling. 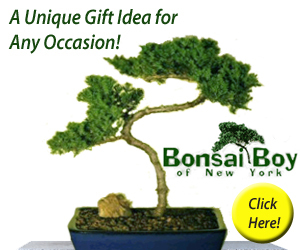 It is a jumping off point for those of us who are thinking of putting together something for our grandchildren or to ornament a miniature garden. The rule of fairy-house building is that you cannot destroy anything living to add to your fairy house. I think an indoor fairy house is easier to construct due to the fact that weathering can be very hard on the materials. 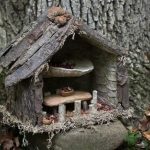 If you consider winds, hard rain, and the ways moisture and sun can destroy even strongly built “people” homes, imagine how our fairy houses might fare. But then, we aren’t exactly building for posterity are we? These are just little flights of fancy that are meant to be fun. I made similar indoor crafts when constructing dried flower wreaths, long ago. Maybe that is why it seems easier to me to simply use those materials to put together a cute little Fairy home. In making an indoor house I could use strong cardboard as a base, or start with an inexpensive doll house. I could also make a base of grapevine or honeysuckle vine. And I wouldn’t have to worry about the little home getting overrun with insects would I? I don’t think Fairies are good at keeping such trespassers out, they are far too lenient in nature. 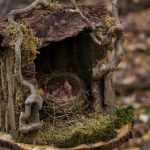 Other than the base materials needing to be stronger and more tolerable of weather conditions, the creation of the indoor and outdoor Fairy Houses are similar. Lots of found items that can be remade into tiny furniture, used to decorate doors and roofs, and otherwise creating a miniature world are part and parcel of the construction. I was poking around Pinterest and found an idea that I can use this year. Completely do-able. Using an old Christmas Nativity Stable, it could be reworked into the most adorable fairy house, I think. It is the right size and the base is flat, with a rustic look to it already. I think all I have to do is glue moss and lichens onto it, perhaps break up the interior into little rooms and voila! Then I can concentrate on making tiny furnishings, which is something that intrigues me to no end. Twig chairs, acorn bowls, cob-webby curtains… that is my idea for 2014. Repurpose like I did, or buy an empty Nativity stable. 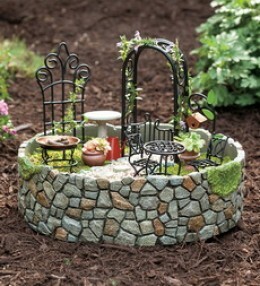 It makes a great base for a fairy dwelling which you can use on a shelf, sidetable, or hang on a wall. Three easy steps to making a fun and easy little fairy house. Of course it can get as complex and detailed as you like, but do begin! I am gathering materials, and the second step is to draw the plan. I will need glue and little brads. A small upholstery hammer. Ripened rose hips, hollowed out for teapots- bent willow frond can make a handle. First, what materials to use for the house? A round patio stone for the base? Large broken clay pot half? tree fungus steps or roof? My plan is to build an indoor house, but I am going to make plans for an outdoor one, too. My daughter lives in the South and she isn’t so keen on little bitty gardening jobs, etc. But just in case she feels that an outdoor environment for a Fairy house is a good fit for her, I will be prepared that we can go in that direction. I plan on using mostly natural materials like Tracy Kane suggests, but I may add some more delicate things that have sparkle for an indoor Fairy house. You could gather your own river rocks if you live or hike near mountain streams. Here in Ohio we mostly have shale along the creeks, but Lake Erie and other such large bodies of water are a good source of stones that are polished by wave action. If you want the beauty of these rocks without the access to a natural source, they are available in hobby stores and online. Their smooth rounded shape can become table tops or seats. They can be little steps or a larger one for the front stoop. Get creative! 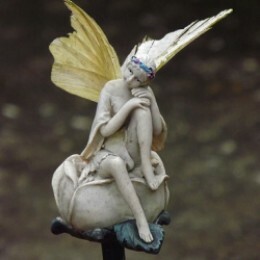 I think a little figurine perched on a large polished river rock would be the perfect accent for a finished fae home. It might be possible to craft each and every detail of the furnishing yourself, from found materials, but when I see all these darling little accessories that are available that I can’t resist a couple, can you? Maybe the little bicycle is from a visiting elf, who needs something to catch up with all those flitting fairy friends. 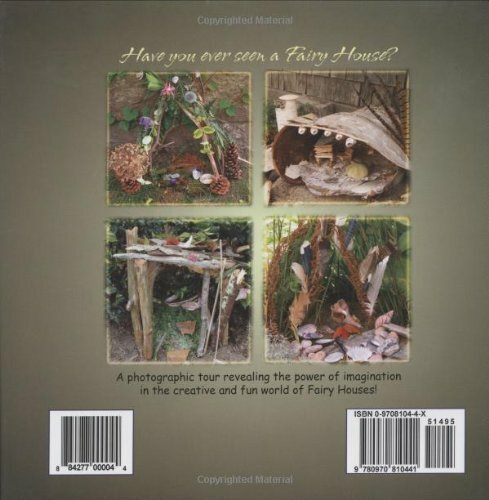 Do You Plan On Making A Fairy House? 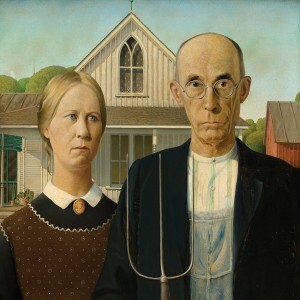 This isn’t my first choice for my grand daughter’s intended house, but many crafters use it. 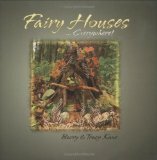 If you are making a fairy house “just to look at”, this is a time saving and efficient way to assemble your fairy house. I won’t be using it because when my husband and I made a dollhouse many years ago for my daughters, the glued joints made with the glue gun were not satisfactory. I’m not saying this would be a bad thing for putting together your house, and I will use one, myself, for details like adding moss, etc, on the indoor version of a Fairy House. However, it isn’t a glue that stands up to actual manipulation and play. Like the type expected of little people, when the fairy house is intended for them. 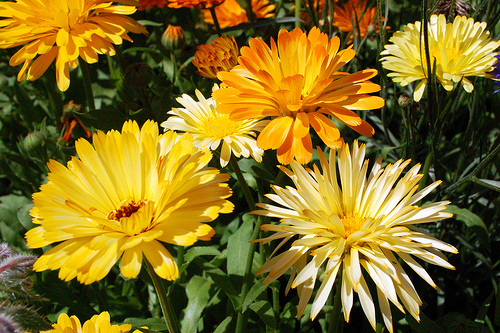 It certainly won’t stand up to the elements in rainy climates like the East coast, etc. Martha Stewart craft ideas are renowned. She always has a high level of quality whenever her name is attached, which is why her stuff is so popular. If you are buying a new glue gun, this is a good one which isn’t too expensive. When crafting, this is probably the most useful tool to have on hand. 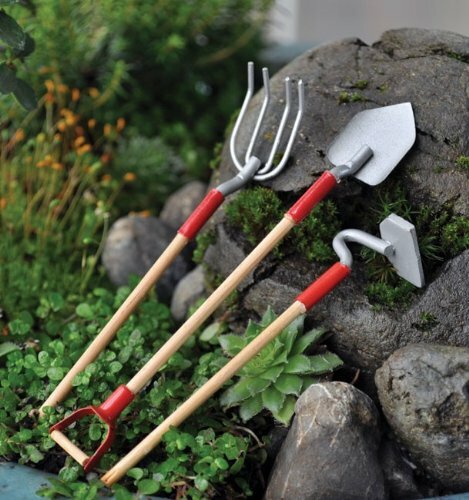 Useful for attaching pine cone roofing, mossy bits, and attaching tiny flowers. A shortcut to making an enchanting house: splurge on a few extra nice items. I love the idea of making a fairy house with a theme, and tiny garden tools look as though the fairies have only just disappeared after making sure everything was in order in the garden. Making your own pails, and “Gnat baths” (birds are much too big!) from natural findings such as acorns, little beach shells or other such things make the implements look right at home. Creating For Kids, Which Would You Choose? Indoor houses for your grandkids to enjoy “playing house” with fairy objects? 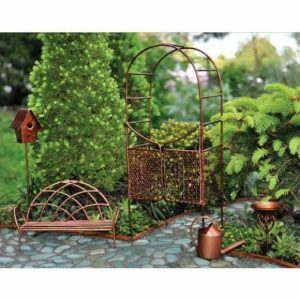 An outdoor fairy garden with real plants and forest finds? Just A Door Or A Doorway To Imagination? Sometimes just the hint is enough, and a small doorway into a tree, whether it is attached outside or covers an actual hollow, might be all that is needed for a flight of fancy. Look how easy it is to make attractive little doors. The videos give full instructions on the what and the how. Reminds me of playing with clay when I was a child. A combo of three colors, just the thing to order if you have intentions of making your own fairy door. Of course, it can also be used to make little accessories or to combine with nature’s materials. If ambitious, making little fairy figurines from this material is possible, too. I think it would be so much fun creating some with your grandchild. 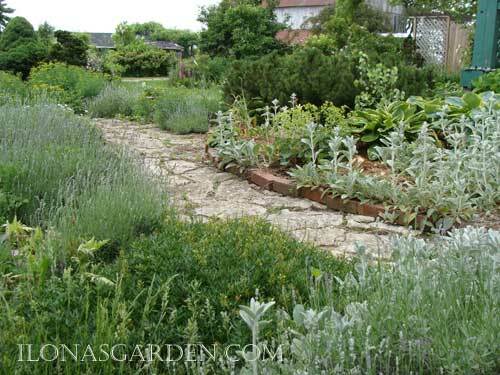 Outside, it might be fun to create a little garden like the ones I planned and wrote about on my garden site. 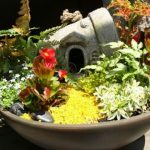 If you like the idea of putting fairy gardens in containers or wheel barrows as well as having spaces like hollow tree trunks, do visit my pages on fairy gardens. Here, I am planning what type I would actually make just for myself and the space around my non gardening daughter’s home. 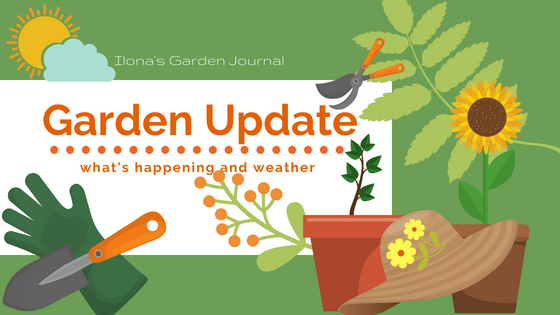 Two of very different types, one for me who is all about the garden, and one that is more of a play space for my granddaughter, that doesn’t require gardening care or weeding etc. A Fairy door is really important. I want it to move on hinges or be a stationary open door. The how-to video shows it made from the same type of clay as Sculpey Clay; I might use that. If I want all natural materials I have some dried gourds, and I could use the scrap from cutting a door shaped opening in one of those gourds for its door. I don’t want to lose the tutorials for making things I would like to create, but might not know just how it’s done. Experienced crafter’s tips so my grand daughter benefits from having a lasting and sturdy “Fairy Dwelling” to actually play with, not just look at. 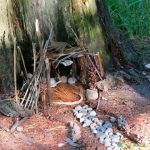 For the budding architect to the dreamy romantic, building a fairy house can be a wonderful activity for any number of children. Here is what you need to get building! 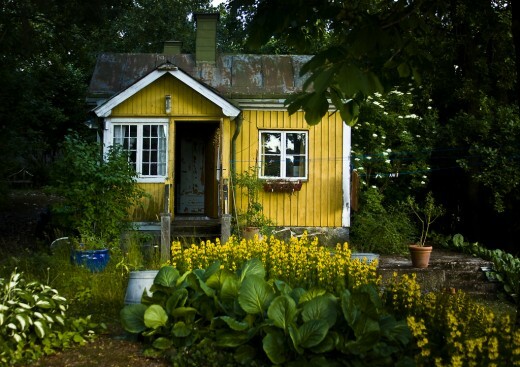 No one needs to spend anything to put together one of these little houses that are made of found materials, but sometimes we lack ideas or tools, so some expense might be incurred, but only if you want to spend it. No one will need to spend a dime. I love books, so for me, that is always money well spent. THE MAIN INVESTMENT IN THIS PROJECT? Sometimes we need prompting for the creative process, especially if not used to working with crafts. That is why I suggest some books and include ideas for using some of the many miniature objects, like little bicycles. Most of us are intrigued by them, and they add so much to the ultimate outcome, but are beyond our own ability to create. WHY A BOOK FOR IDEAS? I love the internet, and I collect ideas on Pinterest, but who has time to sort through everything if you just want to spend a couple afternoons with your grandchildren? On the other hand, maybe you do want to lend real time into this, and need in depth inspiration. Either way, a hardcopy book is the way to go. For a permanent hardcopy on your bookshelf, this will continue to inspire projects using natural, found materials to fashion home crafted houses that are amazingly detailed. 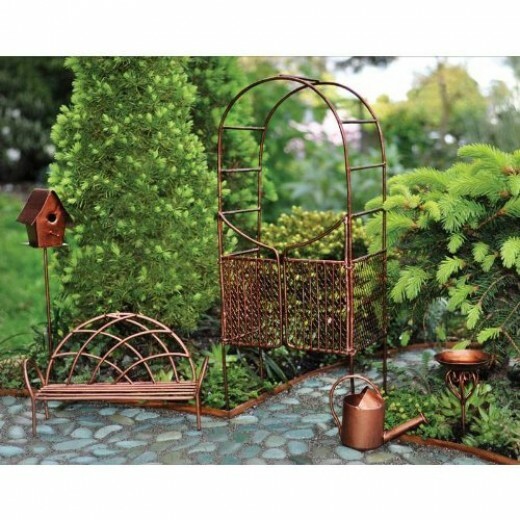 Projects for garden,accessories, and cottages are given clear guidance with a touch of whimsy. 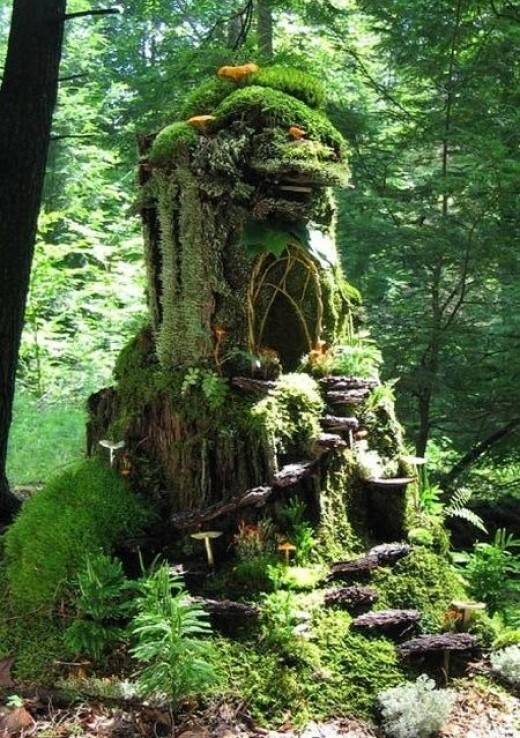 Tracy Kane is the inspiration for thousands of people who find her Fairy Houses just delightful. I am definitely a fan! 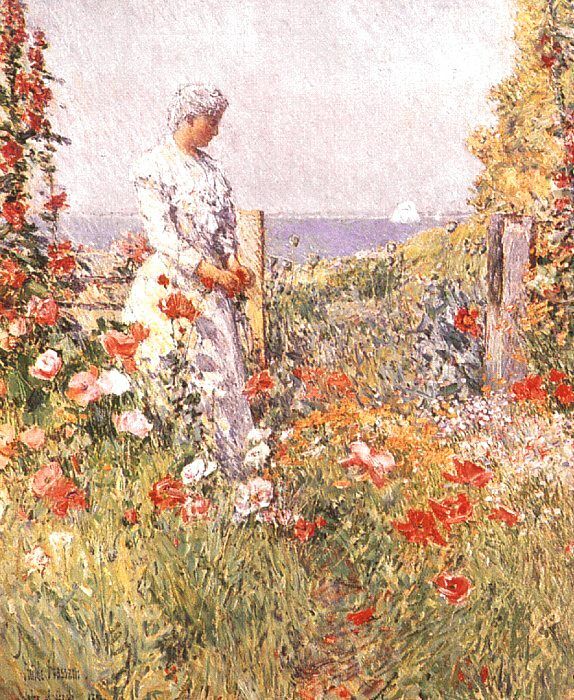 Her books and online Youtube video was my first introduction to how inventive and artistic these projects could be. For those who like to gain their ideas more from seeing rather than being told everything in steps. Filled with illustrative photos. Tracy Kane was one of the first to truly popularize this now booming trend. Her beautiful creations which alight the imaginations that blossomed into a lasting obsession are featured in photographs. This is one of her series of books that explore this amazing world.